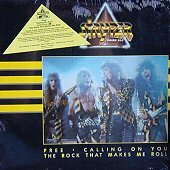 Stryper, originally known as Roxx Regime, was formed in Orange County, California by brothers Michael and Robert Sweet and guitarist Oz Fox. 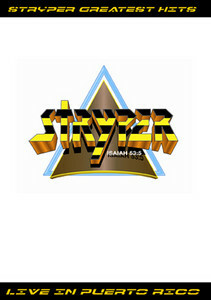 Stryper stands for Salvation Through Redemption Yielding Peace, Encouragement and Righteousness. The Isaiah 53:5 under their logo is the bible verse that states "by His stripes we are healed". The band earned their stripes on the Los Angeles metal club circuit and in 1984, after recruiting bass player Tim Gaines, signed with Enigma Records and released their debut mini-album, The Yellow And Black Attack (Y&BA). Their first full-length release, Soldiers Under Command (SUC), sold over half a million units worldwide in the eighties, and stayed on Billboard's Top 200 album chart for over forty weeks. In addition to the hard-rocking tunes that Stryper's core audience has come to expect, the ballad "Honestly" from their platinum selling 1986 release To Hell With The Devil (THWTD) hit the Top-40 charts. The video for "Honestly" rapidly became the number one most-requested video on M-TV. 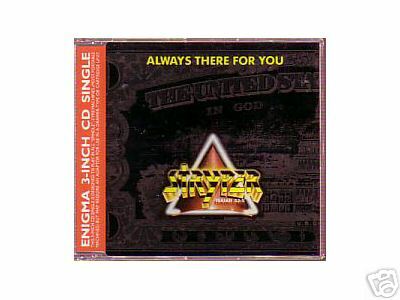 1988 saw the near-platinum release of In God We Trust (IGWT), as well as renewed success on M-TV, which was bombarded by thousands of phone requests for "Always There For You". 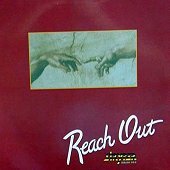 Coming off the acclaim of the 1989 tour supporting IGWT, the band released Against The Law (ATL) which shipped gold in the fall of 1990. 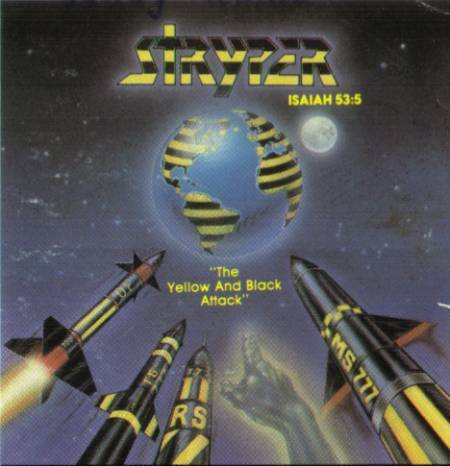 Despite its sales success, some fans were confused by Stryper's change in appearance and lyrics. This lead to numerous rumors and questions about the sincerity of Stryper's faith. "We were making a grab for musical freedom," says Robert Sweet, Stryper's drummer. "But we never should have let that been misinterpreted as a change in our beliefs." In 1991, Enigma Records went bankrupt, and Stryper was left without a record company. This was short-lived, as they were quickly picked up by Hollywood Records. 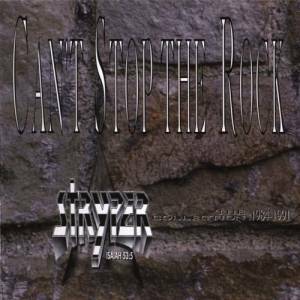 In the summer of 1991 they released Can't Stop The Rock, a "best of" album with two new tracks. In January of 1992, Michael Sweet left the Stryper to pursue a solo career. Although officially Robert Sweet, Oz Fox and Tim Gaines continued as a three piece for another year, there were no further studio recordings as Stryper once Mike left. Michael Sweet was the first to re-appear back on the scene, when he secured a record deal with the Christian label Benson Records. 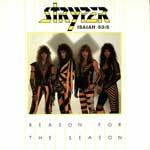 (Benson distributed Stryper to the Christian retail stores in the 80's.) This union produced two albums: the self titled Michael Sweet, and Real. In 1998, Mike put out a full length demo by himself titled Truth. This generated label interest, and he was soon signed to Restless Records. The remastered and updated version of Truth was released early in 2001. Tim Gaines and Robert Sweet joined legendary Christian guitar player Rex Carrol in the band King James. Although King James released two releases to date, Tim and Bob only performed on the first album which was released in 1994 on the Christian label Star Song. Absent from the limelight for many years was Oz Fox, who last was seen making guest appearances on several Christian releases including JC & The Boyz, Bride, and Ransom. Oz and Tim joined forces once again in 1995 to form Sin Dizzy. Together with Bobby MacNeil on guitar and John Bocanegra on drums, they released He's Not Dead in 1998. Tim left Sin Dizzy in 2000 to continue working musically with his wife, Irene Kelly. Robert Sweet released his solo release titled Love Trash in 2000, in which he plays all the instruments on the album and features Larry Worley on vocals. (Ex-lead singer of Christian rock band Fear Not.) Robert recently formed Blissed with fellow members David Pearson, Trevor Barr, and Jeff Miller. Their album, Waking Up The Dead, was released in early 2003. On May 21st of 2000, history was made when Stryper hit the stage again for an informal jam at the first annual Stryper expo in New Jersey. December 16th of 2000 marked the first full blown set preformed by Stryper in 9 years, held in Costa Rica. 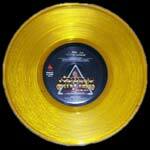 The second annual Stryper expo was held in Azusa, California on May 18th and 19th of 2001. The two day expo featured multiple bands and vendors, with Stryper closing the expo with a concert. Shortly after, Stryper played to one of their largest crowds at Cornerstone at Bushnell, Illinois on July 7th, 2001. 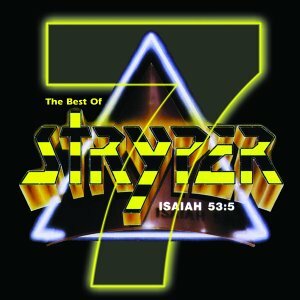 On March 25th of 2003, Hollywood Records released Seven, The Best Of Stryper that included 2 new songs (Something and For You). That fall, they embarked on a 35 city tour that both fans and critics agreed was one of the hottest tours of 2003. In March of 2004, Stryper triumphantly returned to Puerto Rico to play a sold out show that was recorded for a DVD release scheduled to come out later in the year. 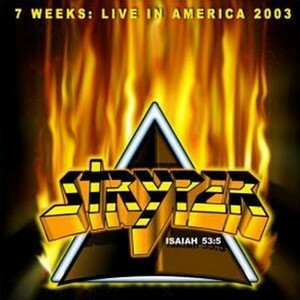 The prayers of Stryper fan everywhere were answered in May of 2003 with the new live CD recording titled 7 Weeks: Live In America. 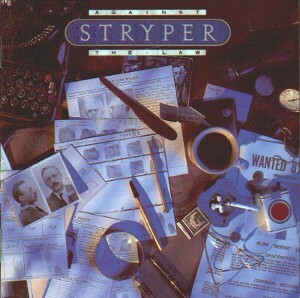 Stryper went on from there to record a full studio album, "Reborn", in 2005. The album featured a much harder sound than their earlier material.